For nearly 10,000 years humans depended on hemp seed for nutrition and medicine. Eating hemp hearts for breakfast is not a radical change but rather a return to common sense. Hulled hemp seeds are a delicious way to add essential nutrients to your breakfast. Shelled hemp seed has a pleasant and very mild nutty taste that goes well with almost anything. Most people in todays hectic and fast paced world find it difficult to eat a hearty and nutritious breakfast while rushing out the door. You can create quick and easy shakes and smoothies that can be made fresh daily. Add ingredients, blend, drink and you’re out the door in 5 minutes. 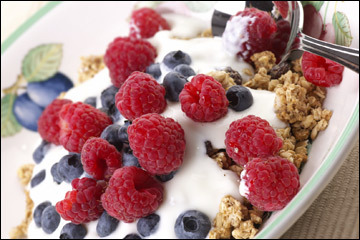 It is also excellent with hot or cold cereal, sprinkled over fresh fruit or scrambled with eggs. Use hemp protein powder for muscle building and quicker weight loss. Add 4-6 tablespoons to water and blend. Add fresh fruit for more natural flavour. Some people will alternate the hemp protein powder with the hulled hemp seed from day to day. This technique works well for some people as they still receive all the nutrients from the hemp seed every other day but reap the benefits of quicker weight loss by tricking the body into thinking it must burn fat to survive. 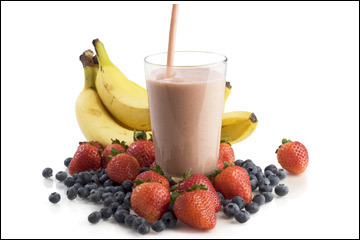 You can have several protein shakes per day with your daily diet and right after exercise or workouts too. Use hemp oil instead of foul tasting fish oil pills or oils. Use hemp oil as a daily supplement for deficiencies in Omega’s (3,6 & 9) and GLA’s. Hemp oil is literally food for the brain as the brain is primarily 60% fat. The brain and nervous system depends on the “good fats” — Omega 6 & 9 to function properly everyday. This is why Omega 3 & 9 is so important in the development of children. Hemp oil contains 6.2 X more Omega 3 than raw tuna. Take hemp oil if you have dry skin or weak brittle hair and nails. You can even rub the oil on your skin for extra nourishment. Take 1-2 tablespoons per day. Blend it in with smoothies or shakes or simply eat it raw from the tablespoon. It tastes great too! In a large bowl, beat together oil, sugar and eggs until well mixed. Cover, refrigerate overnight or for up to 4 weeks. Bake at 385°F (195°C) for approximately 15 mins. With this recipe you can enjoy fresh baked muffins every day.